One day about 10 years ago, a package from China landed on Alberto Reyes's desk. Inside was a knock-off pair of his company's signature Cleto Reyes boxing gloves. The copies looked identical, but the Chinese factory offered to make them for Reyes for just 11 euros a pair, far less than what he spends on manufacturing in Mexico. It was a chance to turn his company into a cash machine. Then Reyes began to scrutinise the Chinese version. The stitching was wrong. The materials were poor quality. Reyes thought of his late father, stooped over a sewing machine late into the night, making each pair of gloves by hand in his cramped workshop. He put the Chinese copies back in the box. "My father's name is on our gloves," Reyes said. "The money didn't matter." 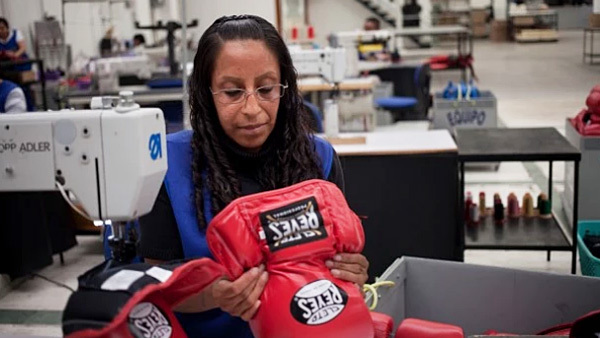 Today, the company logo still bears the Cleto Reyes name and proudly declares "hecho en Mexico" (made in Mexico), even as that phrase increasingly means low-cost maquiladora-style manufacturing, rather than old-fashioned handmade quality. But that is what the gloves have come to be known for among the world's top boxers. They continue to seek out the family-run Mexican company even though it doesn't offer endorsement deals and makes even the most famous fighters pay full price.